On Sunday, which is the perfect day for baking in my not so humble opinion, I had a craving for pumpkin muffins. Conveniently, I had some pumpkin in the fridge that was beginning to mold. What? I let pumpkin rot? I realize that the general impression you get from food bloggers is that pumpkin is akin to gold. While I do like pumpkin, I don't want to have unhealthy relations with it, nor do I want to bathe in the stuff. Really, it's one of the least tasty squashes out there. Have you eaten a spoonful of the puree? Did you have a reaction to it like a baby being forced to eat green pea puree? 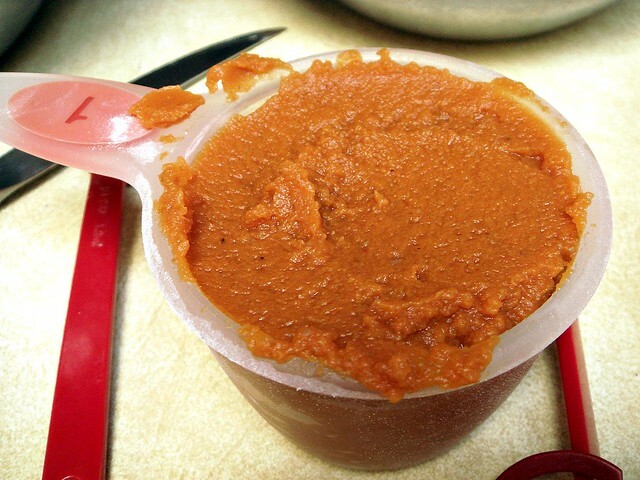 Perhaps it would taste better if I made puree from sugar pumpkins, but so far I stand firm in my opinion. Butternut and acorn squash both taste better. The only reason people have a creepy lovefest with it is because they saturate it with sugar, spices, and butter, of which I wholeheartedly approve. Thus, it was beginning to mold. 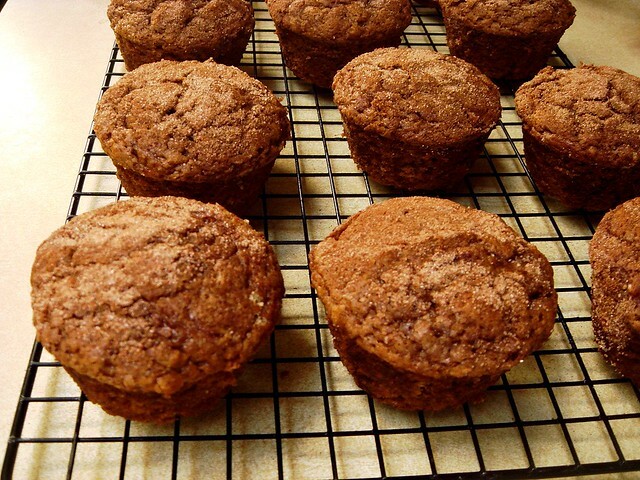 I had bookmarked a pumpkin muffin recipe from Muffin Top a long time ago. Despite the relative ease, I hadn't gotten around to making them. Shame on me. The picture of the bright orange and the gorgeous crown captivated me. These were going to be good. Here is the sugar mixed with the spices. I used a little more than 1 teaspoon of various spices like cinnamon, allspice, fresh nutmeg, cloves, and ginger. I think I used too much, because the end result was a dull brown instead of a vibrant orange. In the Muffin Top recipe, she states that she accidentally used an entire 15 ounce can of pumpkin, so maybe that helped with the color. 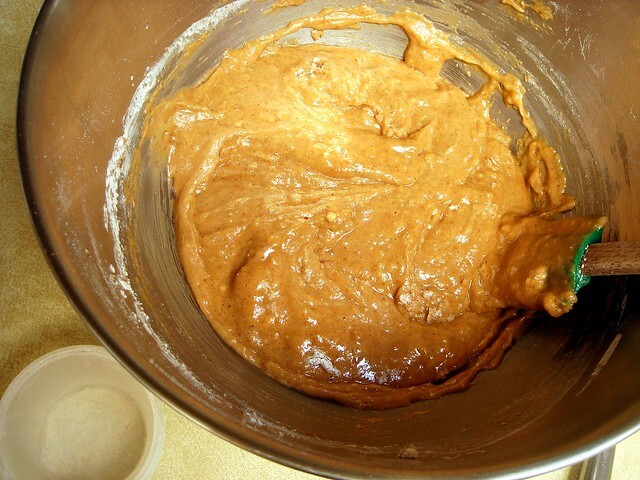 Quick breads are great because you just combine the dry ingredients and the wet ingredients separately, then mix them both together until a few streaks of flour remain. 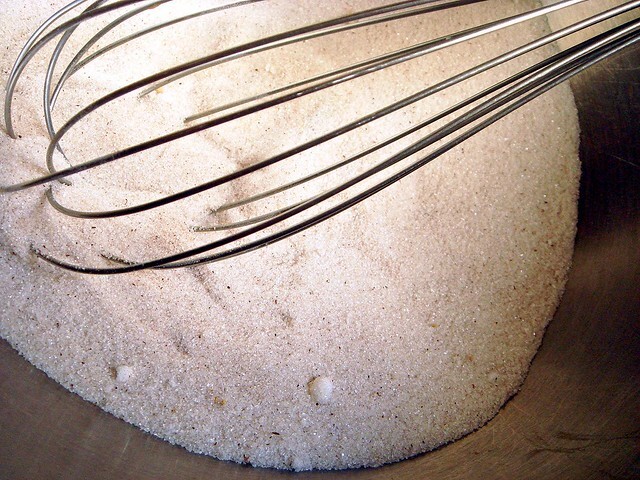 The tops are sprinkled with cinnamon sugar, which gives them a nice crunch and extra spicy flavor. Twenty-five to thirty minutes later, your kitchen smells like fall and you can dive right into a muffin or three. I was disappointed that mine weren't orange, so I'll have to figure out what went wrong there. But the flavor was amazing, and the muffins were so tender. I'm definitely going to make these again, though I'll add cranberries and pepita seeds next time. If you made it this far into the post, here is the link to the recipe again so you don't have to scroll up. I don't like eating pumpkin pure, but I love the flavor it adds to baked goods and other dishes. 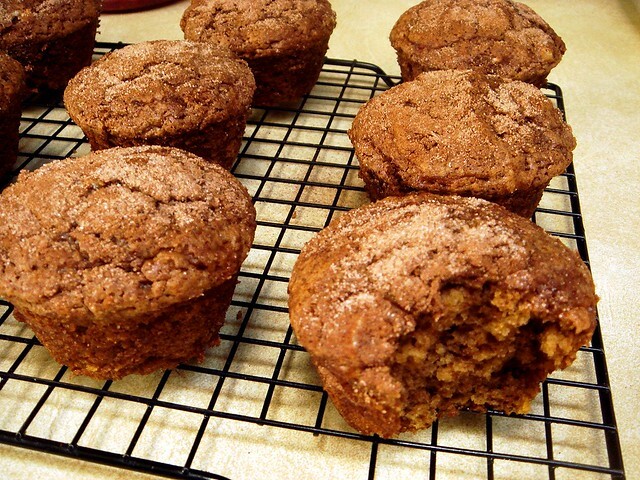 I love this muffins, the cinnamon on top must make them irresistible. I love pumpkin! Butternut squash is good, but pumpkin is my favorite and I've loved it since way before I ever read a blog. These muffins look great! I mainly just don't like pumpkin when it still tastes raw, like in oatmeal and stuff. But when it's cooked into a dish, like these muffins or a savory recipe, it definitely tastes a lot better. I think I only have 1 large can left of pumpkin. you're totally right, and butternut is by far my favorite :) bet it would work just as well in these muffins! Cinnamon on pumpkin muffins, irresistible! 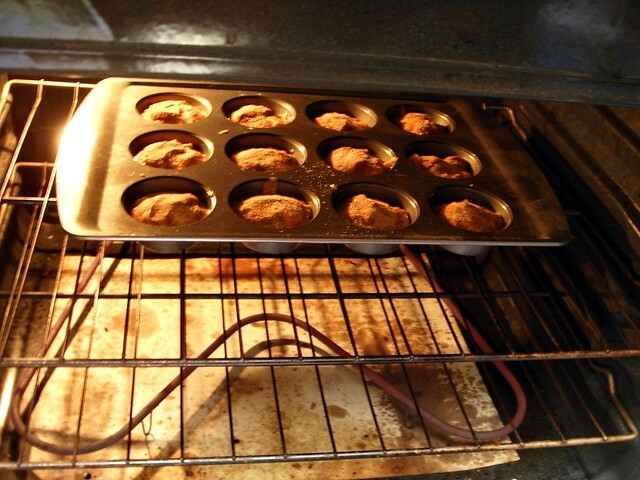 These pumpkin muffins look delicious! I can't believe you're posting a Halloween theme recipe so early. Normally at this time of year you'd be posting grilling ideas for a July 4th BBQ! Anon, I've finally caught up. I'm going to get Christmas out of the way next week. I will make these this weekend and add in yummy things like walnuts and pepita seeds. I may also make a batch of that granola again as well. I'm making them right now, yours look so delicious!